The CFDA Fashion Incubator teamed up with Target and held a launch party and showcase for its brightest accessories stars. The designers had their pieces on display on 25th street and were in appearance to answer any questions about their collections. Designers on display were A Peace Treaty, Isa Tapia and Sang A. For a look at what the rest of the designers showcased click here. 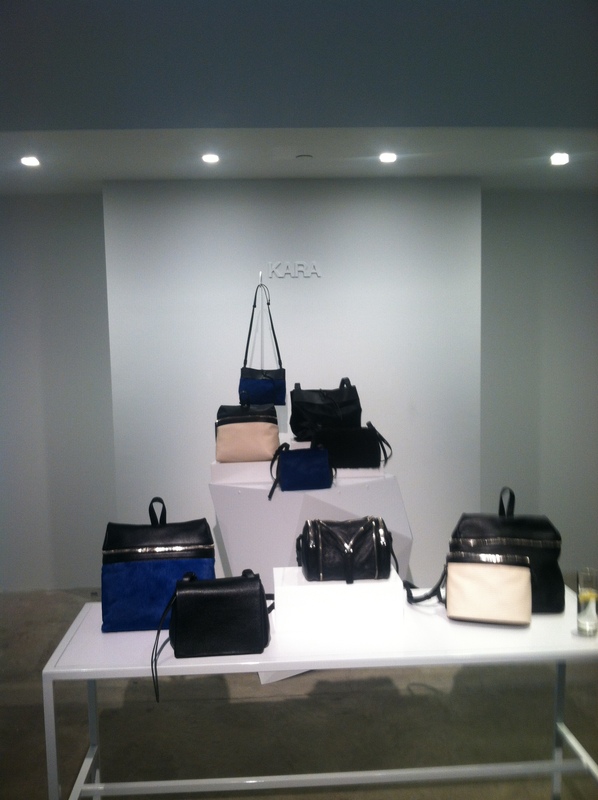 KARA is a New York City based accessories label launched in 2012 by Sarah Law. Sarah was born in California and raised in Hong Kong. She attended Parson’s The New School for Design in New York and Paris; graduating in 2008 as nominee for “Designer of the Year’. For KARA, Sarah designs items she would like to wear herself, therefore basing the aesthetic on an active, urban lifestyle. KARA derives from the Japanese word ‘Karaoke’ meaning ‘Empty Orchestra’. The name alludes to the brand’s aimto encourage curiosity and creativity. 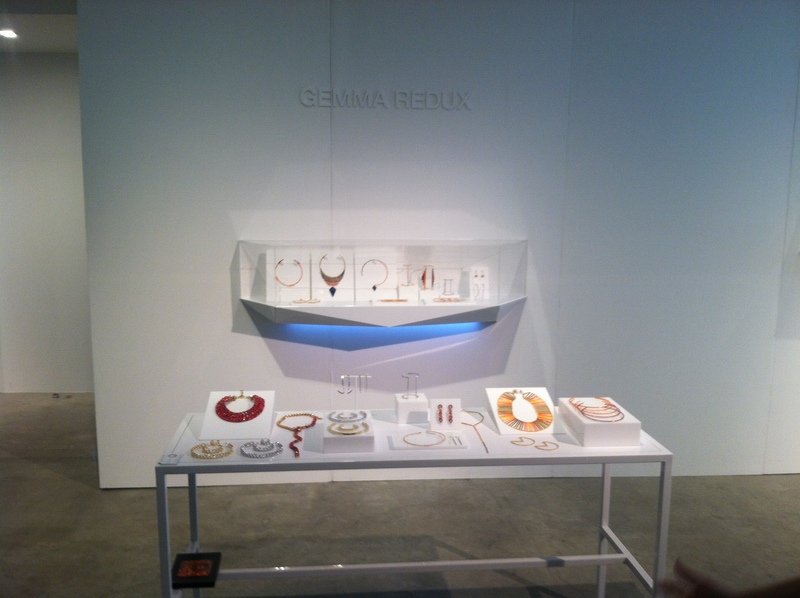 Growing up in Grand Rapids, Michigan, Gemma Redux designer Rachel Dooley spent most of her childhood in a constant state of creative exploration. Rachel was also selected in 2009 to be one of twelve designers in the innagural class of the CFDA Fashion Incubator, a program established by the CFDA and NYCEDC to support the next generation of great American designers. 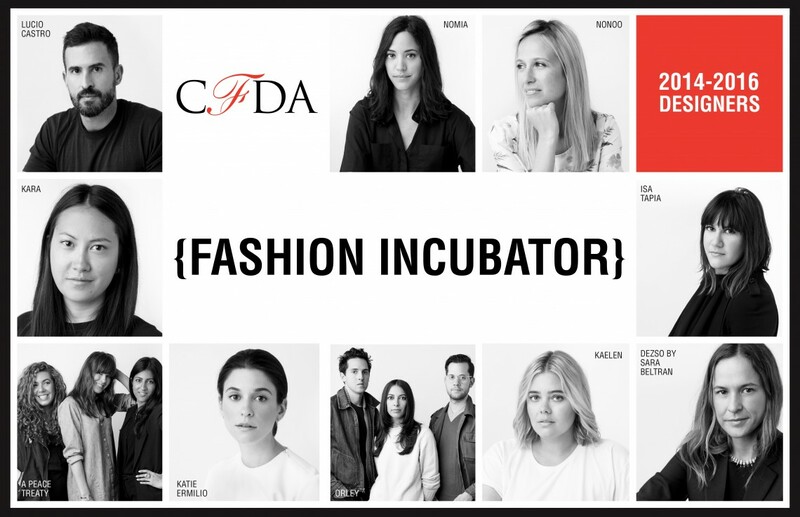 In 2012, Rachel was selected to become a CFDA member. Gemma Redux collections are a combination of ideas and inspirations: geometric shapes and mathematical repetitions, a contrast of masculine industrial metals and shapes with feminine faceted stones and delicate metal elements. Despite these juxtapositions, the finished pieces are always fluid, serpentine, and delicate forms that organically envelop the body. 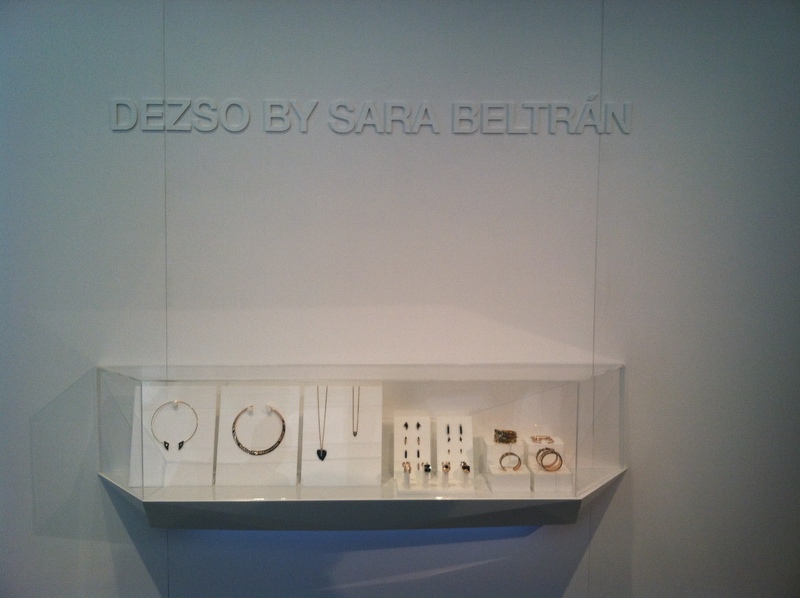 The fashion stylist-turned-designer and artist, Sara Beltrán, began her fashion career in New York City after graduating college. Ever since she was a child, Beltrán has been fascinated by the ocean and travels to different beaches around the world. Dezso, the word for desire in Latin stands for her love for the ocean, which continues to emerge in her collections, and hence shells and shark teeth have become some of her signature motifs, which have become synonymous with Dezso. When Beltran first started her collection these shapes were created though molding and casting shells and fossilized shark teeth in 18k rose gold that she found at the ocean. Emeralds, blue tiger-eye, coral, labradorite, diamonds, and kyanite stones frequently emerge in her collections. 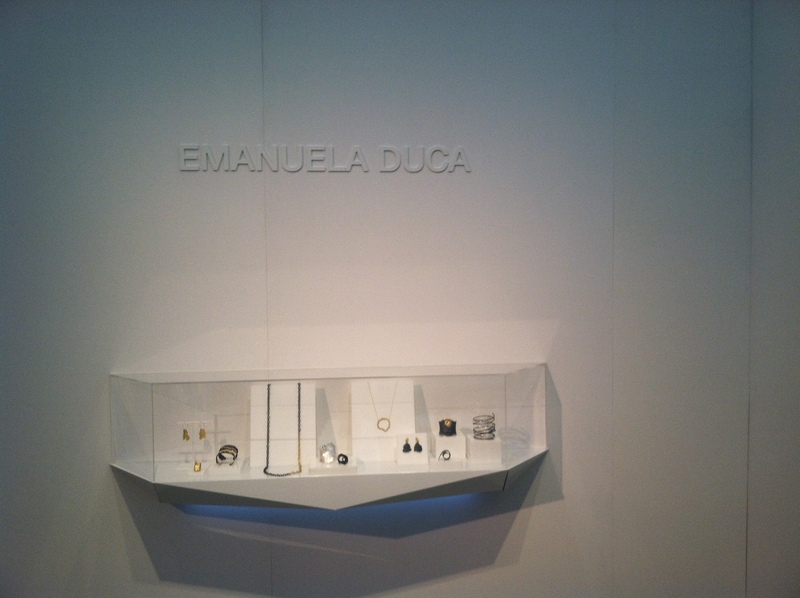 Emanuela Duca, a jewelry artist based in Manhattan, was born in Rome, Italy. Established in New York City since 2005, Emanuela has exhibited in numerous retail and wholesale shows throughout the country, including the Smithsonian, the Philadelphia Museum of Arts Craft Shows, and “LOOT!” exhibit at the Museum of Art and Design in New York. She was also the recipient of the 2009 American Craft Council Award of Excellence. Very recently, Ms. Duca has also been selected for the prestigious CFDA (The Council of Fashion Designers of America) “Incubator” program. 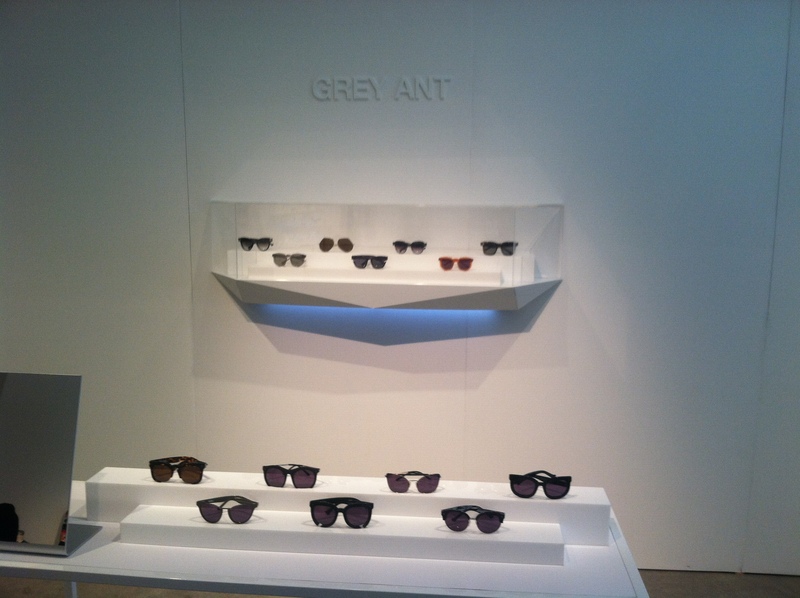 My favorite of all of the accessories designers was Grey Ant. I have had the pleasure meeting some fascinating eyewear designers like Coco & Breezy and Stevie Boi and now I can add Grey Ant to the list. Cool eyewear can truly spruce up an outift and I loved this collection. THE NEW DIRECTION FROM YOUR FAVORITE INDEPENDENT OFF THE GRID DESIGN HOUSE. THE GREY ANT AESTHETIC IS INFORMED BY THE BRAND’S DIRECT AND UNCOMMON APPROACH WHERE QUALITY AND INDIVIDUALITY ARE PARAMOUNT. TRADITIONAL EYEWEAR DESIGNS ARE REINTERPRETED AND TRANSFORMED INTO NEW FOUND CLASSICS FOR THE MODERN EVERYDAY HERO. MANUFACTURED IN LIMITED QUANTITIES, GREY ANT SUNGLASSES WILL ONLY BE AVAILABLE THROUGH THIS WEBSITE AND SELECT RETAILERS ASSURING WEARERS A HIGH LEVEL OF EXCLUSIVITY.